Assisted with selection of medicinal plants for cultivation in medicinal garden and for study in lab.Prepared for clinical studies of Tibetan-Mongolian medicine for multiple sclerosis. Lectured and trained medical students to evaluate, diagnose and treat patients with Traditional Medicine. Comparative research of Tibetan and Western Medicines for thyroid disorders; compared Tibetan pulse diagnosis with laboratory tests, and the effects of herbs versus thyroid hormones on outcomes. Collaborated with European doctors in Ulaanbaatar, using Traditional Tibetan Medicine in combination with Western Medicine to treat all kinds of cancer and chronic disease; trained many western MDs and PhDs in Tibetan Medicine. Professor of Tibetan Medicine,taught Tibetan Medical theory and clinical practice. Tibetan medicine interpretation of myelin and multiple sclerosis. Tibet House U.S. & Columbia Integrative Medicine Program, Longevity & Optimal Health Conference: Integrating Eastern & Western Perspectives, September 18-21, 2006. Department of Anthropology, History and Social Medicine and Osher Center for Integrative Medicine. Workshop on Tibetan Medicine. Tibetan medicine interpretation of myelin and multiple sclerosis, University of California, San Francisco, May 2004. Second International Congress on Tibetan Medicine. Tibetan medicine interpretation of myelin and multiple sclerosis. Washington, DC, November 2003. Second International Congress on Tibetan Medicine, Washington, D.C. Tibetan Medicine and Cancer. November 2003. Overview of Tibetan Medicine for Family Practice Residents, Indiana University School of Medicine, Ball Memorial Hospital, Muncie, IN, October 2002.
International Congress on Tibetan Medicine, Washington, D.C., 1999. World Health Organization, Represented the Medical University of Mongolia to give the most advanced lecture on Traditional Tibetan Medicine to doctors practicing Tibetan Medicine in Mongolia, 1997.
International Conference on Eastern Medicine, Ulaanbaatar, Mongolia; represented Tibetan Medical Institute, Dharamsala, India; lectured on pulse diagnosis and infectious diseases, 1995. 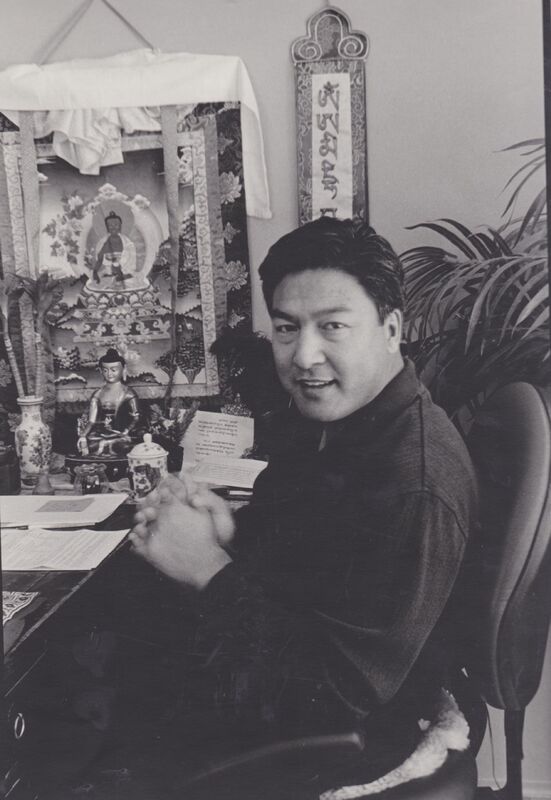 Inner Asian Research Center, Cambridge, England, lecturer for two months, 1993.
International Conference on Eastern Medicine, Ulaanbaatar, Mongolia; represented Menpa Dratsang Institute for Doctors; lectured on diagnosing and treating cancer, 1993. Pennyroyal G, Dhondup L, Husted C. A Review of Medicinal Plant Patents. Recent Patents on Biomedical Engineering, 2011; 4:126-138. Husted C. and Dhondup L. Bridging the Gap Between Science and Traditional Medicine: Microscopic and Macroscopic Agreement of Three nyes pa Descriptions of Multiple Sclerosis. Asian Heritage Award for Excellence in Health and Medicine, San Diego, CA, 2004.